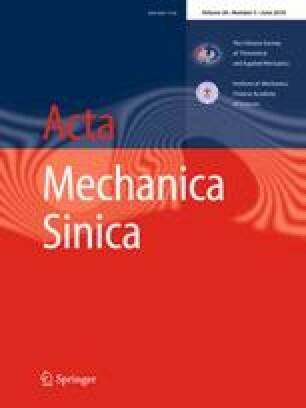 The time courses of wing and body kinematics of two free-flying drone-flies, as they performed saccades, were measured using 3D high-speed video, and the morphological parameters of the wings and body of the insects were also measured. The measured wing kinematics was used in a Navier–Stokes solver to compute the aerodynamic forces and moments acting on the insects. The main results are as following. (1) The turn is mainly a 90° change of heading. It is made in about 10 wingbeats (about 55 ms). It is of interest to note that the number of wingbeats taken to make the turn is approximately the same as and the turning time is only a little different from that of fruitflies measured recently by the same approach, even if the weight of the droneflies is more than 100 times larger than that of the fruitflies. The long axis of body is about 40° from the horizontal during the maneuver. (2) Although the body rotation is mainly about a vertical axis, a relatively large moment around the yaw axis (axis perpendicular to the long axis of body), called as yaw moment, is mainly needed for the turn, because moment of inertial of the body about the yaw axis is much larger than that about the long axis. (3) The yaw moment is mainly produced by changes in wing angles of attack: in a right turn, for example, the dronefly lets its right wing to have a rather large angle of attack in the downstroke (generally larger than 50°) and a small one in the upstroke to start the turn, and lets its left wing to do so to stop the turn, unlike the fruitflies who generate the yaw moment mainly by changes in the stroke plane and stroke amplitude. The project was supported by the National Natural Science Foundation of China (10732030) and the 111 Project (B07009).